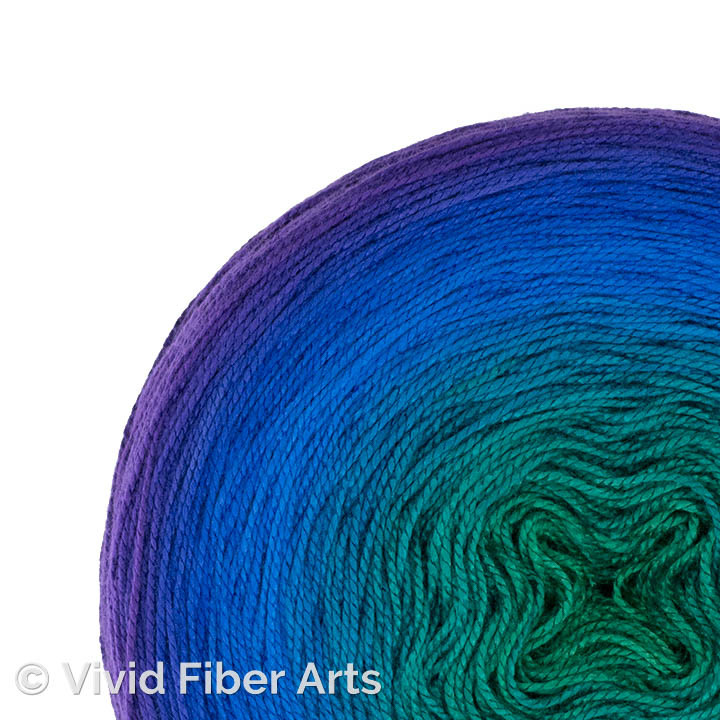 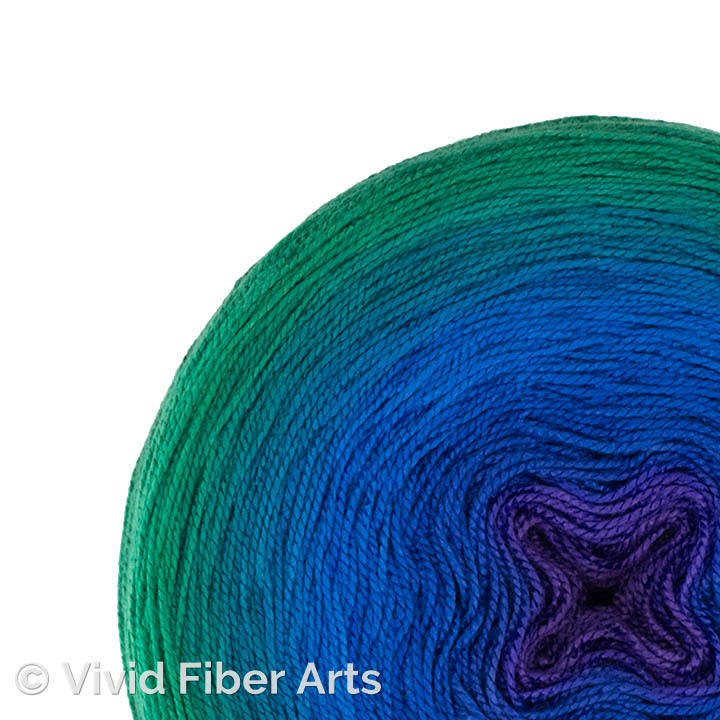 Birdsong is a peacock-inspired gradient which starts out with intense violet, moves through cobalty blues, rich teals and into a bright emerald green. 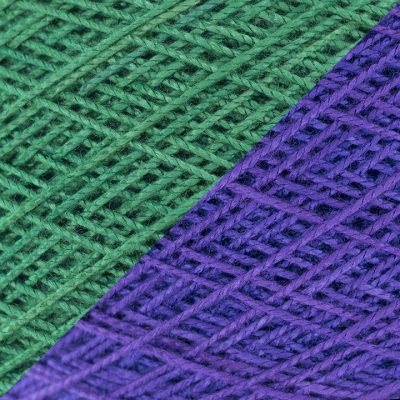 * * *Please note* * that violet is normally in the middle of these cakes, as it’s the “shorter end”. (The picture shows it reverse wound). 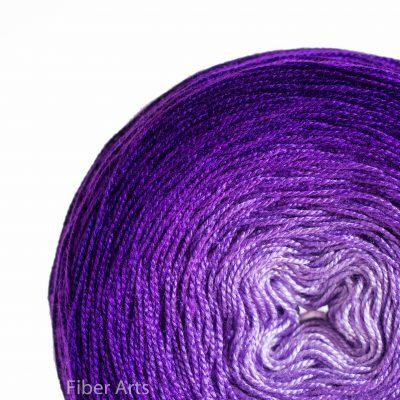 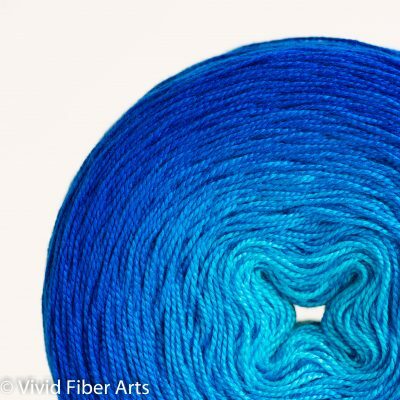 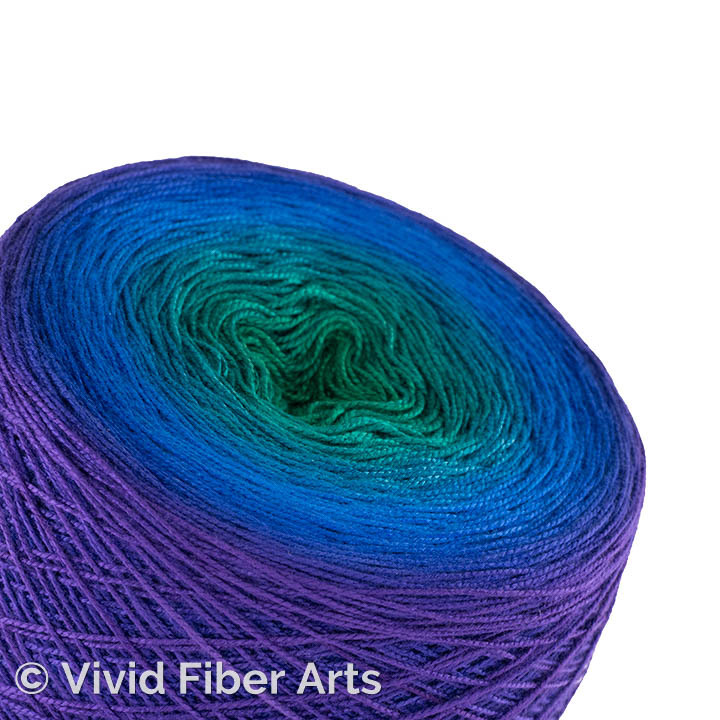 This standard 150g length skein is perfect for most knitted shawls, and crocheted shawlettes/scarves. 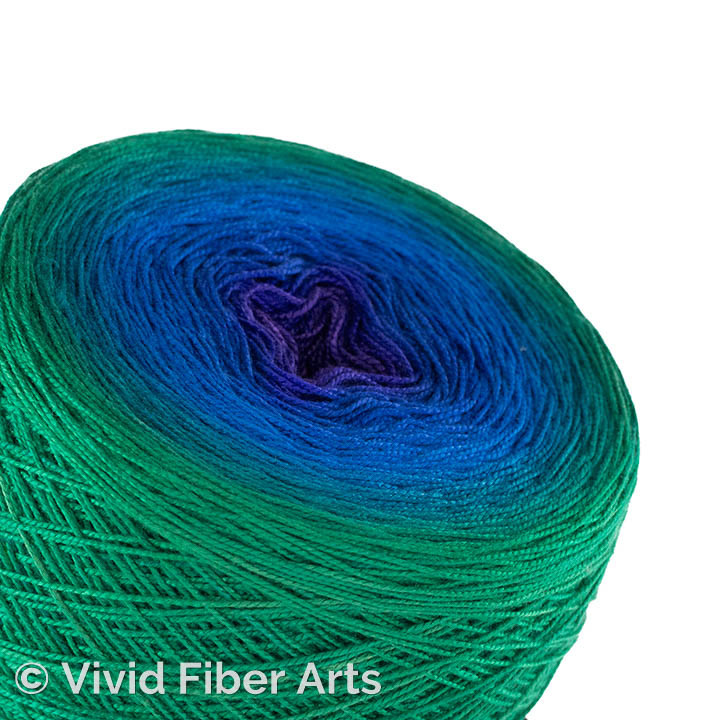 If you require more length, add some end yardage onto either (or both) ends of this 150g gradient.